Steven Spielberg is far and away, financially speaking, the most successful director of all time. 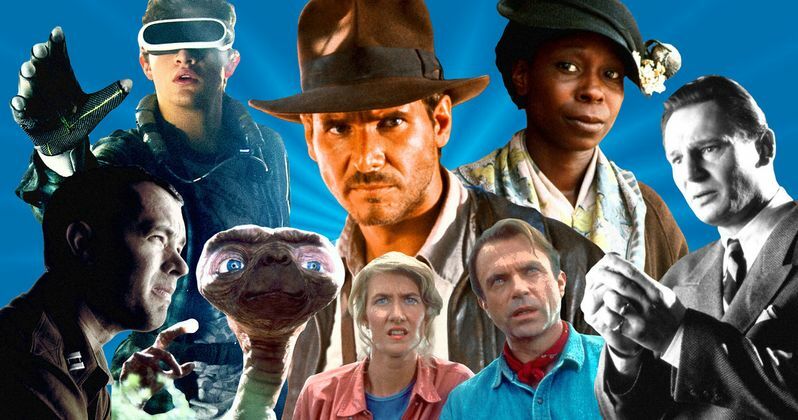 Thanks to the success of Ready Player One at the box office, Spielberg's movies have now grossed over $10 billion worldwide. He's the first director to accomplish this feat and nobody else is even close. So, not only is he one of the most beloved and respected directors to ever do it, he's quantifiably one of the most successful. Ready Player One, which is based on the novel of the same name by Ernest Cline, has grossed $474.8 million worldwide so far. That has helped push Steven Spielberg's body of work to $10.009 billion. In total, there are 27 movies that make up this impressive figure, dating back to 1989's Always, which is his lowest-grossing effort to date with $74.1 million. Spielberg also has his recent Oscar-favorite The Post to thank for pushing him past this landmark, as that movie brought in $174.4 million worldwide. To date, Steven Spielberg's highest-grossing effort is Jurassic Park at $983.8 million. Somewhat surprisingly, given how much fans don't enjoy it, next up on the list is Indiana Jones and the Kingdom of the Crystal Skull at $786.6 million. Rounding out the top three is E.T. the Extra-Terrestrial with $717 million. These numbers are unadjusted for inflation. When inflation is taken into account, E.T. is far and away Spielberg's most financially successful movie, with $1.3 billion in adjusted gross. The important thing to note when it comes to this accomplishment is that this only includes movies that Steven Spielberg has directed. This doesn't include the many massive hits that he's produced, which includes the Transformers movies and Jurassic World, which is one of the highest-grossing movies ever with $1.67 billion at the box office. The next highest-grossing director on the list is Peter Jackson with $6.52 billion. This is largely thanks to The Lord of the Rings trilogy and The Hobbit trilogy, which were both tremendously successful. Behind Peter Jackson is Michael Bay at $6.4 billion. This is in part thanks to hits like Armageddon, but largely it's the much-maligned Transformers movies that account for the lion's share of that total. Right behind Bay is James Cameron with $6.1 billion, who owes a great deal of that to Avatar, which remains the highest-grossing movie of all time with $2.7 billion worldwide. Rounding out the top five is David Yates at $5.3 billion, who has directed four Harry Potter movies and Fantastic Beasts and Where to Find Them. Steven Spielberg will add to this total in the coming years, as Indiana Jones 5 will begin filming in April of next year. These numbers come to us courtesy of Box Office Mojo.